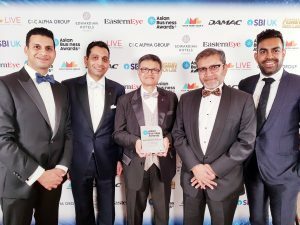 Sigma were proud to be presented with the Healthcare Business Award at the 2019 Asian Business Awards ceremony recently held in Central London. The award celebrates companies that have shown entrepreneurial flair and contributed to the nation’s well being. As always,we give a big thank you to all members of our staff, customers and suppliers for their continued support.